Here’s the awesome Fitheory Personal Trainers, to get the gain you want with the pain you need. Go! Sign in to see app's. To find your perfect fit, and more click with Fitheory, directly. We're an email or a call away. And, we're all over social media. Don't be shy! 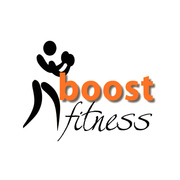 You have just found the connection to your perfect choice of Personal Trainer, Chiropractor, Physiotherapist or Masseuse. Perfect, because you get to pick the service that suits you.